No Shave November is focused on generating discussion about men’s health and raising funds for those diagnosed with cancer. Without the support from the women in our lives we would be left helpless. I am blessed to have the support of these amazing women and encourage everyone, male and female to help support the cause. A question that may come to mind is, why would we want to not shave during the month of November? We certainly can come up with a ton of reasons why shaving is a good idea i.e., it’s not as itchy, it feels cleaner and smoother and my grandma likes it better when I shave to name only a few. The reason for the campaign of No Shave November is to make a statement, emanating an expression of compassion for others. In yoga philosophy and practice there is an adage (Loka-Samgraha) that encourages us to offer the fruits of our practice such as, good health, positive frame of mind and improved concentration, to the greater good of humanity. This is why I am practicing not shaving for this campaign. It is my hope that our effort to raise money and awareness for others plight may offer the simplest expression of compassion to someone who needs it. Chances are you have had someone close to you diagnosed with cancer at some point in your life. If so then you know how challenging it is when you would like to be able to help but feel like there is nothing that you can do. We cannot guarantee that this campaign will change the course of our life or someone else. Yet by setting the intention that we would like to help, as humble as an intention may be, perhaps together we can make a difference. Today Greg Nardi explains what Loka-Samgraha means in the video below. During the month of November I am striving to raise awareness about cancer and to help fundraise for the organization www.no-shave.org. I have created two main events to help this process. One is an actual gathering at Native Yoga Center for a donation based yoga class on November 22nd at 12pm. 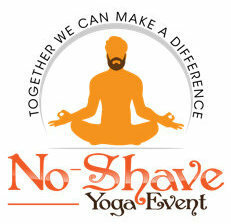 If you live locally in South Florida you can register for the event at the No- Shave Yoga Event registration page. The other event is an online fundraising social media campaign involving male yoga teachers from around the world. We are collectively growing a beard to support the cause and are posting pictures and words of inspiration on our social media channels. Our team is called Yoga Beards Unite and it consists of @adampolhemusyoga @brianmilleryoga @davidmiliotis @gregnardi @juankgalan @nativeyoga @willduprey. Follow us on Instagram and on our favorite social media channels. These events are open for all to participate, male and female. Your support will help those who are working through the challenge of cancer receive financial and moral support. Help show your support by including #yogabeardsunite on your posts as well. Thank you! “This is not true,” Eddie said of that myth. Krishnamacharya and eventually Guruji were teaching all types of people at the Mysore palace and Sanskirt University, but when it was time for demonstrations, the boys were the ones on show. But they weren’t the intended students. Do I have to remind you who were? Sick people, old people, stiff people… everyone except lazy people.